Soto, F. A. (submitted). 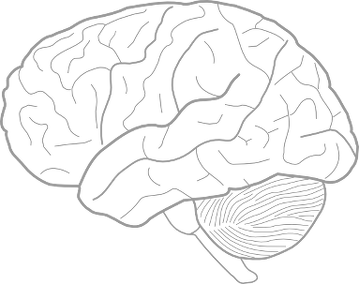 Beyond the "conceptual nervous system": Can computational cognitive neuroscience transform learning theory? Soto, F. A. (in preparation). 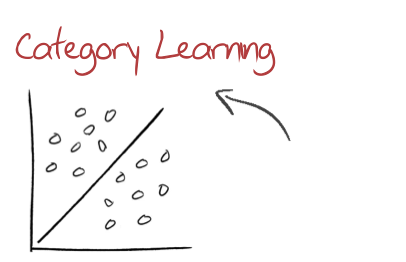 Linking classification images and general recognition theory. Hays, J., Wong, C., & Soto, F. A. (in preparation). FaReT: A free and open-source toolkit of three-dimensional models and software to study face perception. von Meer, S. S., Ashby, F. G., & Soto, F. A. (in preparation). Influence of transcranial magnetic stimulation to a prefrontal cortex connector hub on learning of a rule-based categorization task. Soto, F. A., & Ashby, F. G. (2019). Novel representations that support rule-based categorization are learned on-the-fly during category learning. Psychological Research, 83(3), 544-566. Perez-Riveros, O., Aitken, M. R. F., Zhukovsky, P., Soto, F. A., Urcelay, G. P., & Dickinson, A. (2019). Human instrumental performance in ratio and interval contingencies: a challenge for associative theory. Quarterly Journal of Experimental Psychology, 72(2), 311-321. Soto, F. A., Vukovich, L., & Ashby, F. G. (2018). Linking signal detection theory and encoding models to reveal independent neural representations from neuroimaging data. PLoS Computational Biology, 14(10), e1006470. Perez-Riveros, O., San Martin, R., & Soto, F. A. (2018). Exploring the effect of stimulus similarity on the summation effect in human causal learning. Experimental Psychology, 65(4), 183-200. Soto, F. A. (2018). Contemporary associative learning theory predicts failures to obtain blocking. Comment on Maes et al. (2016). Journal of Experimental Psychology: General, 147(4), 597-602. Soto, F. A., Bassett, D. S., & Ashby, F. G. (2016). Dissociable changes in functional network topology underlie early category learning and development of automaticity. NeuroImage, 141, 220-241. Ashby, F. G., & Soto, F. A. (2016). The neural basis of general recognition theory. In J. W. Houpt and L. M. Blaha (Eds. ), Mathematical models of perception and cognition, Volume II: A festschrift for James T. Townsend (pp. 1-31). Routledge: New York, NY. Soto, F. A., & Wasserman, E. A. (2016). Promoting rotational-invariance in object recognition despite experience with only a single view. Behavioural Processes, 123, 107-113. Soto, F. A., Quintana, G. R., Ponce, F. P., Perez, A. M., Vogel, E. H. (2015). Why are some dimensions integral? Testing two hypotheses through causal learning experiments. Cognition, 143, 163-177. Soto, F. A., & Ashby, F. G. (2015). Categorization training increases the perceptual separability of novel dimensions. Cognition, 139, 105-129. Soto, F. A., & Wasserman, E. A. (2014). Mechanisms of object recognition: What we have learned from pigeons. Frontiers in Neural Circuits, 8:22. Soto, F. A., Gershman, S. J., & Niv, Y. (2014). 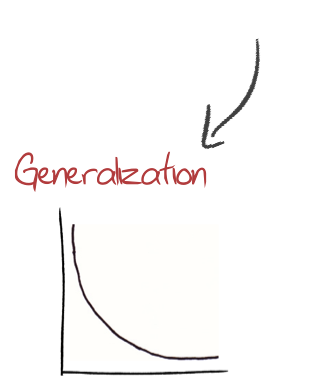 Explaining compound generalization in associative and causal learning through rational principles of dimensional generalization. Psychological Review, 121(3), 526-558. Soto, F. A., Waldschmidt, J. G., Helie, S., & Ashby, F. G. (2013). Brain activity across the development of automatic categorization: A comparison of categorization tasks using multi-voxel pattern analysis. NeuroImage, 71, 284-297. Soto, F. A., Siow, J. Y. M., & Wasserman, E. A. (2012). View invariance learning in object recognition by pigeons depends on error-driven associative learning processes. Vision Research, 62, 148-161. Soto, F. A., & Wasserman, E. A. (2012). A category-overshadowing effect in pigeons: Support for the Common Elements Model of object categorization learning. Journal of Experimental Psychology: Animal Behavior Processes, 38(3), 322-328. Soto. F. A., & Wasserman, E. A. (2012). Categorical learning in pigeons. In N. Seel (Ed. ), Encyclopedia of the Sciences of Learning (pp. 512-515). Springer: Boston, MA. Soto, F. A., & Wasserman, E. A. (2012). Visual object categorization in birds and primates: Integrating behavioral, neurobiological, and computational evidence within a “general process” framework. Cognitive, Affective, and Behavioral Neuroscience, 12(1), 220-240. Soto, F. A., & Wasserman, E. A. (2011). Asymmetrical interactions in the perception of face identity and emotional expression are not unique to the primate visual system. Journal of Vision, 11(3), 1, 1-18. Lazareva. O. F., Soto, F. A., & Wasserman, E. A. (2010). Effect of between-category similarity on basic-level superiority in pigeons. Behavioural Processes, 85(3), 236-245. Soto, F. A., & Wasserman, E. A. (2010). 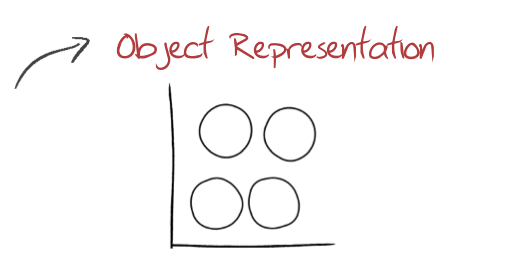 Missing the forest for the trees: Object discrimination learning blocks categorization learning. Psychological Science, 21(10), 1510-1517. Soto, F. A., & Wasserman, E. A. (2010). Comparative vision science: Seeing eye to eye? Comparative Cognition and Behavior Reviews, 5, 148-154. Soto, F. A., & Wasserman, E. A. (2010). Error-driven learning in visual categorization and object recognition: A common elements model. Psychological Review, 117(2), 349-381. Soto, F. A., & Wasserman, E. A. (2010). Integrality/separability of stimulus dimensions and multidimensional generalization in Pigeons. Journal of Experimental Psychology: Animal Behavior Processes, 36(2), 194-205. Soto, F. A., Vogel, E. H., Castillo, R. D., & Wagner, A. R. (2009). Generality of the summation effect in human causal learning. Quarterly Journal of Experimental Psychology, 62(5), 877-889. Vogel, E., Soto, F. A., Castro, M. E., & Solar, P. (2007). Stimulus specificity in the acquisition and extinction of conditioned taste aversion. Biological Research, 40, 123-129. Vogel, E. H., Castro, M. E., Solar, P., & Soto, F. A. (2007). Enhancement of Pavlovian conditioned immunosuppression in rats. Acta Neurobiologiae Experimentalis, 67, 71-81. *Copyright notice: The documents distributed here have been provided as a means to ensure timely dissemination of scholarly and technical work on a noncommercial basis. Your click on any of the links provided in this page constitutes your request to me for a personal copy of the linked article, and my delivery of a personal copy. Any other use is prohibited. Copyright and all rights therein are maintained by the authors or by other copyright holders, notwithstanding that they have offered their works here electronically. It is understood that all persons copying this information will adhere to the terms and constraints invoked by these copyrights. These works may not be reposted without the explicit permission of the copyright holder.